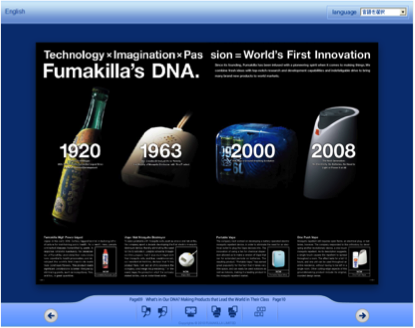 You can view Fumakilla's corporate brochure (electronic version) by Flash Viewer. Please choose from following 5 languages. * You can download the latest Flash Player from here.